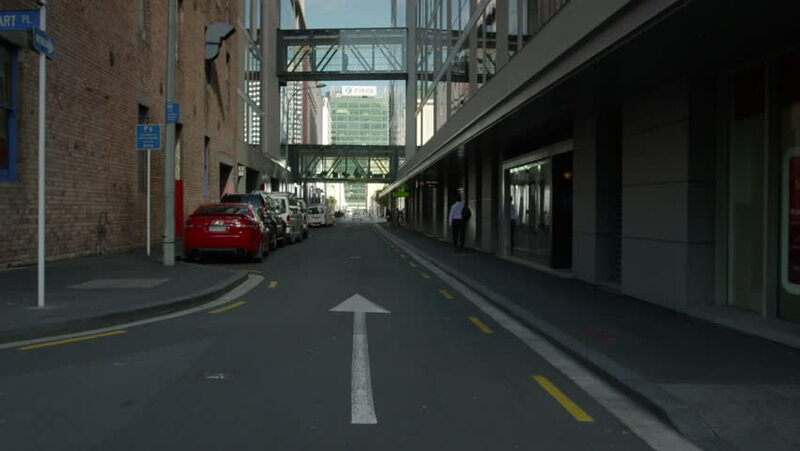 Auckland, New-Zealand - CIRCA December 2013: View of street with glass encased overpass. 4k01:30Santa Monica: Los Angeles, CA USA Set #5 - Right Front 3/4 View angle: Car travels N on Ocean Ave. on a cloudy day in light traffic. Shot on RED Dragon. 4k01:30Downtown: Los Angeles, CA USA Set #87 - Left Rear 3/4 angle: Car travels S on Hill St. on a clear day in light traffic. Shot on RED Dragon. hd00:19CHINA - CIRCA 2015 - Taxis and vehicles travel along busy roads in China. 4k00:11Traffices on wet streets with light snow and light rail power poles in foreground at night. Light rail trains pass by.